This past Tuesday just happened to be International Waffle Day – the same day I decided to make a big ol’ waffle breakfast for Adam before he left for work. 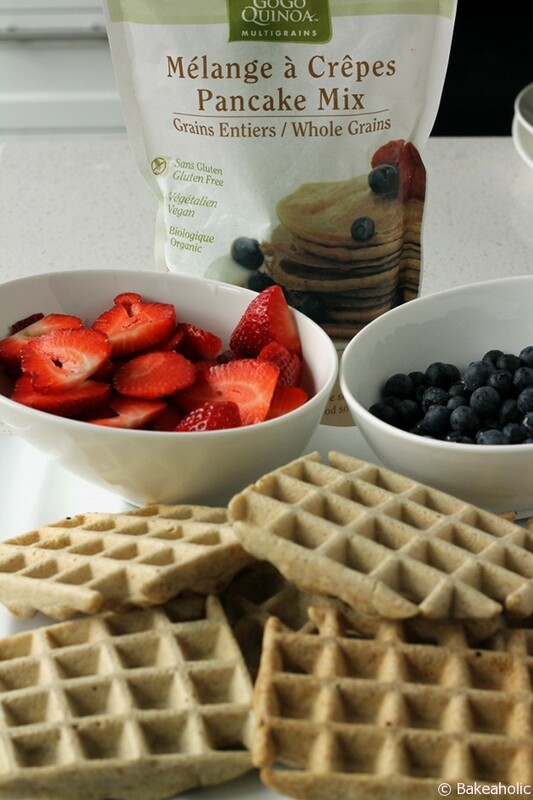 I had received a package of Pancake Mix from GoGo Quinoa along with some of their other products and really wanted to use their mix to try and make waffles. 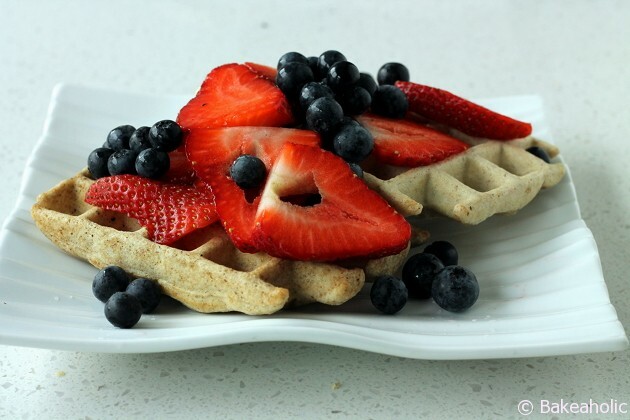 The difference between waffle and pancake recipes is usually more eggs and flour in a waffle recipe – so I decided to add an extra egg and an extra 1/2 cup of the pancake mix to the batter to use it in the waffle iron. I was happy to see that their product – like all of their products – is vegan and wheat/gluten free. The ingredients for the pancake mix include organic brown rice flour, organic tapioca flour, organic kaniwa flour, organic pink salt, Xanthan gum, Baking soda and baking powder. I was happy to see there wasn’t any added sugar in the mix either. You can also use any milk/milk alternative as well. I used to think everyone felt ‘sick’ after eating breakfast foods like pancakes or waffles because they were just ‘unhealthy,’ before learning of my own allergies/food intolerances that include corn, wheat and dairy. 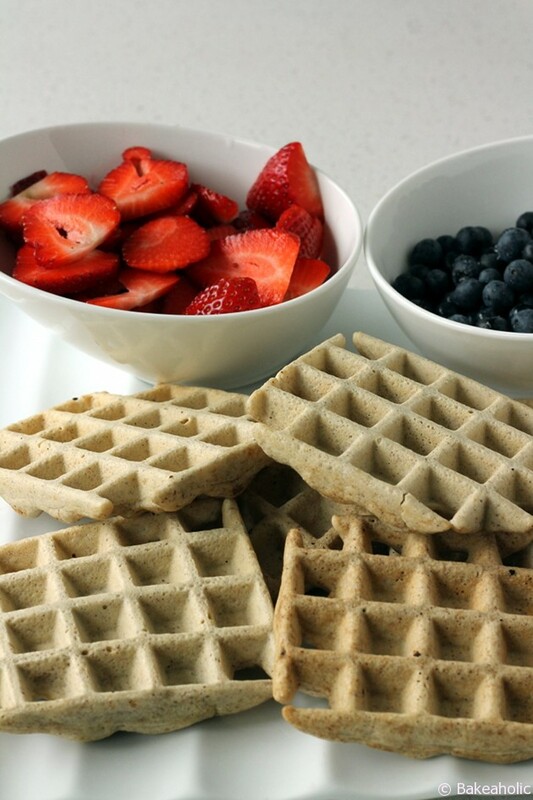 After trying alternative flours and mixes for waffles and pancakes I can say my stomach is satisfied and happy. I also like that the mix is whole grains instead of white flour. 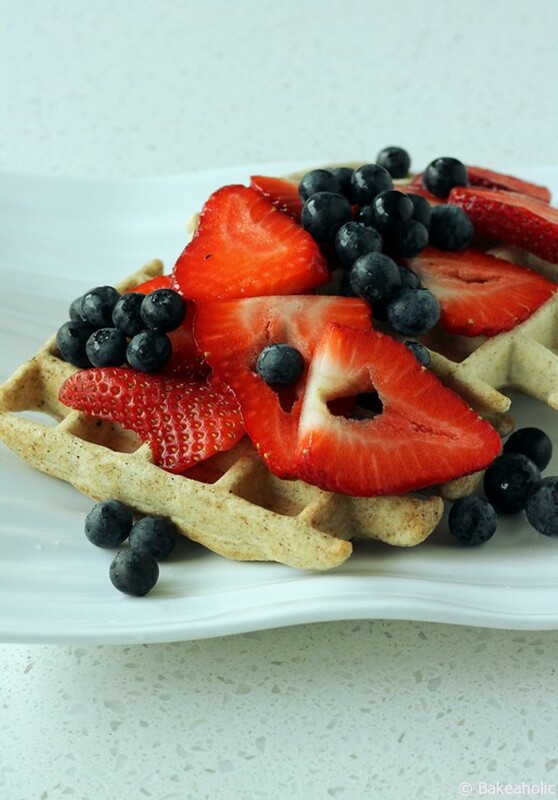 I cooked them on medium heat on my waffle maker, for about 3-4 minutes each. They were crispy on the outside and soft on the inside like a belgium waffle would be. 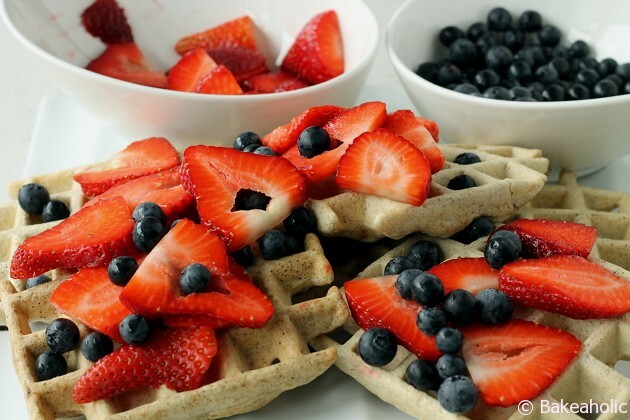 They’re definitely filling too, one or two waffles is plenty topped with lots of fresh fruit. You can find GoGo Quinoa online, or at London Drugs, Superstore and HomeSense.